Trends may come and go, but good taste is always in style. Your wedding day will be a hit list of traditional and time-honored classics. Classic bridal fabrics like Lace, the finest Silk Taffeta and Faille create a timelessly well-constructed gown. Your mother’s Cathedral length bridal veil is the perfect something borrowed to complete your classic look. For the bridesmaids…no high-lo hems here! 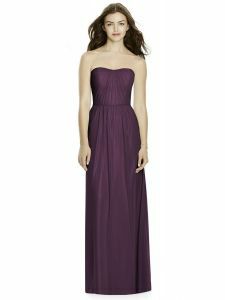 This Bella Bridesmaids collection features elegant colors and enduring styles that can stand the test of trends and time.